It is time to rethink your future! In this FinTech era, are you wondering how you can embrace these technological advancements to propel your career forward as a financial consultant? Or are you looking for a promising finance job with greater rewards? 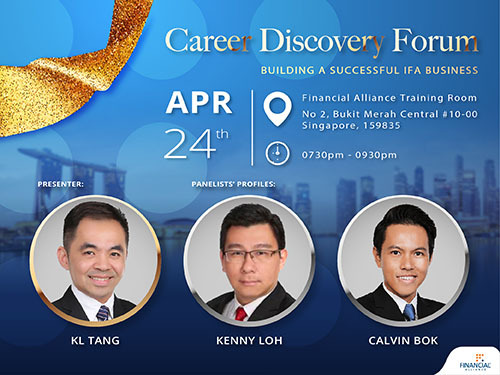 Join us at our Career Discovery Forum on 24 April 2018 to find the answers! 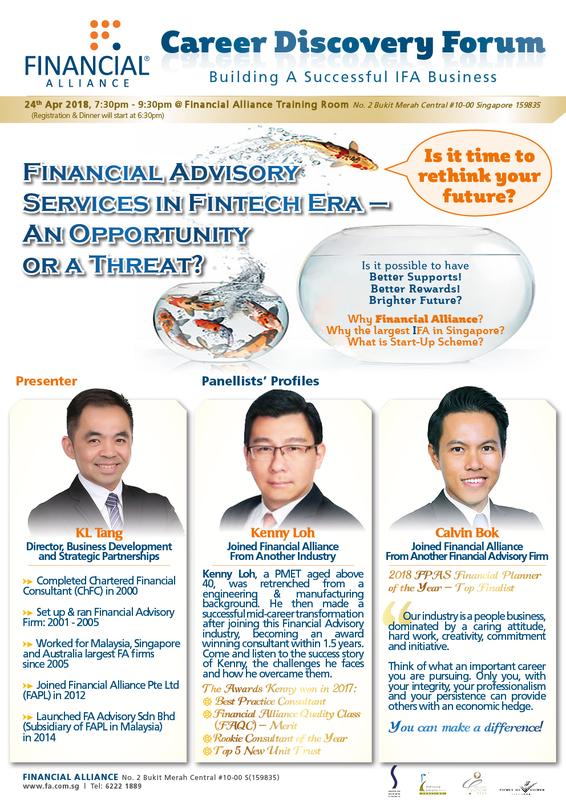 Kenny Loh, a PMET aged above 40, made a successful mid-career transformation after joining this Financial Advisory industry, becoming an award winning consultant within 1.5 years.